- Imaging you have a mobile store with many mobiles on the shelf. Every mobile has its own price tag. One day you want to update the price tag for them, so it take a lot of time to update price tag for the whole store. 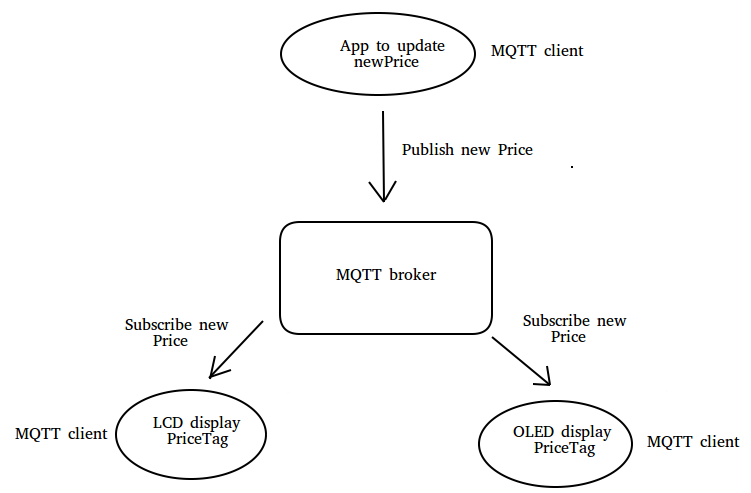 In this demo I will show you how to build a system to update price tag automatically using Arduino ESP32. You just sit at one place, open an application, input the new price and click OK.
- We will use LCD, OLED to display the Price Tag. First row to display mobile name (iPhone 7). And second row to display the price of it (700USD). 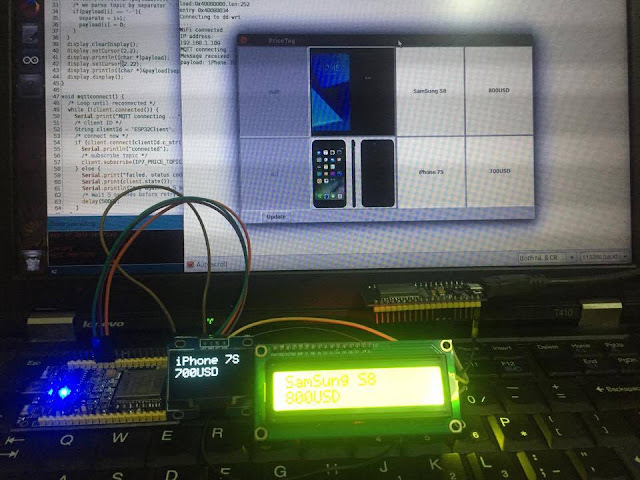 - In this demo we take 2 nodes (2 ESP32 or ESP8266): first node to display the price tag of iPhone and the second node to display price tag of Samsung S8. - For simple demo, I developed the application to update new price in Python and MQTT client library called paho-mqtt. 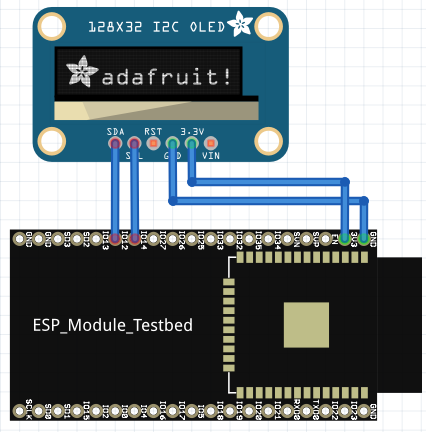 For example: update/pricetag/sss8: here the LCD ESP32 node will display the price tag of Samsung S8 and subscribe the topic "update/pricetag/sss8". 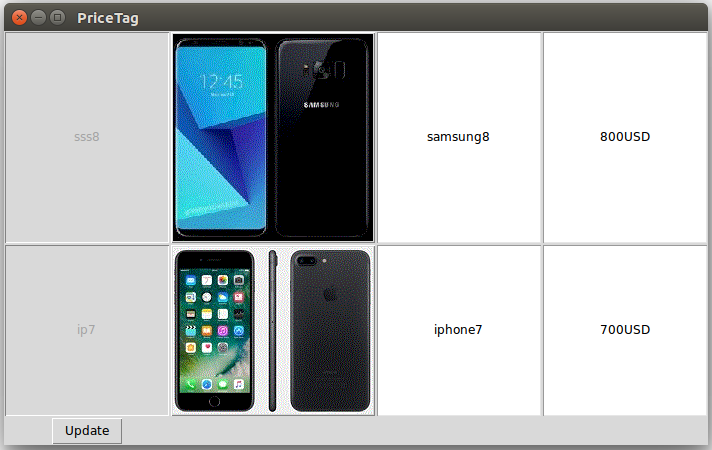 And the payload of topic is Self-defined "samsung8-800USD". Here "samsung8" is new product name, and "800USD" is new product price. Both are separated by "-".